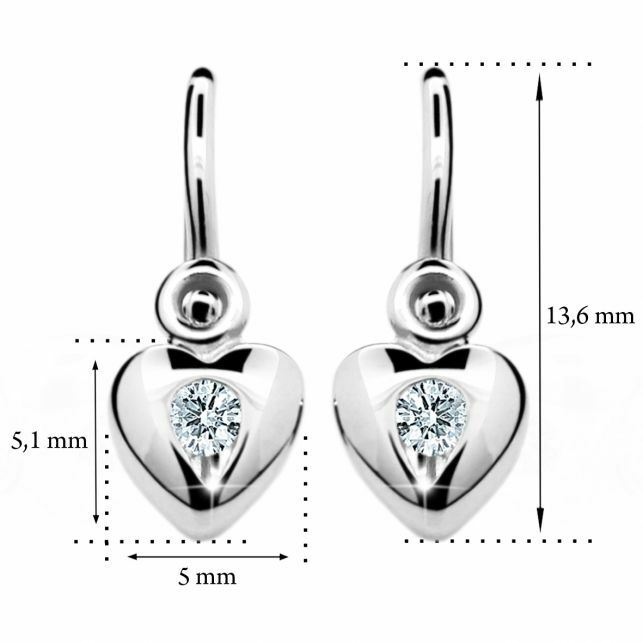 Cute baby heart shaped earrings made of 14 carat white gold, set with clear white stones, brighten the face of every little girl. 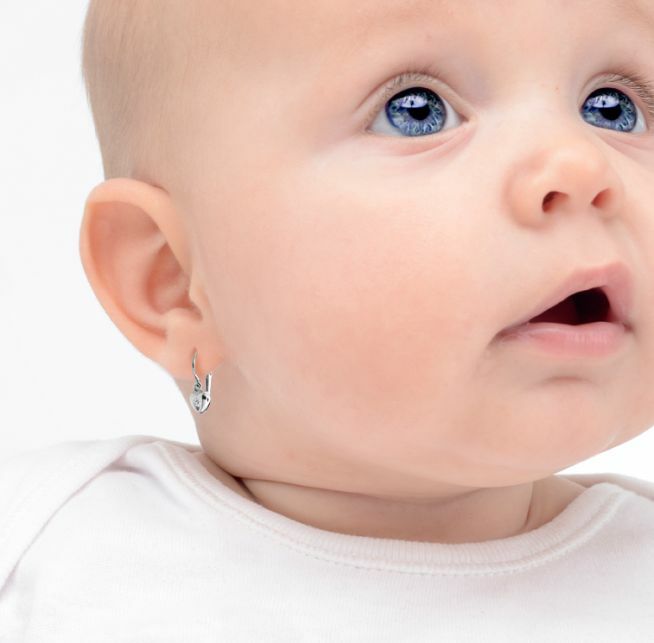 Fastening Brizura is the perfect choice for babies. 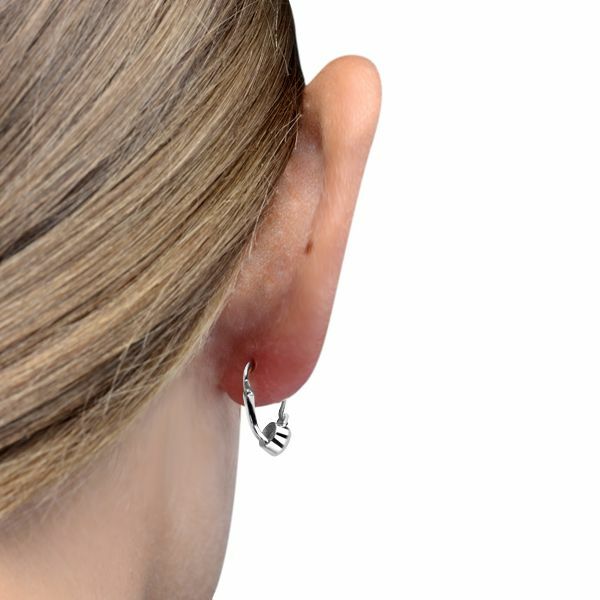 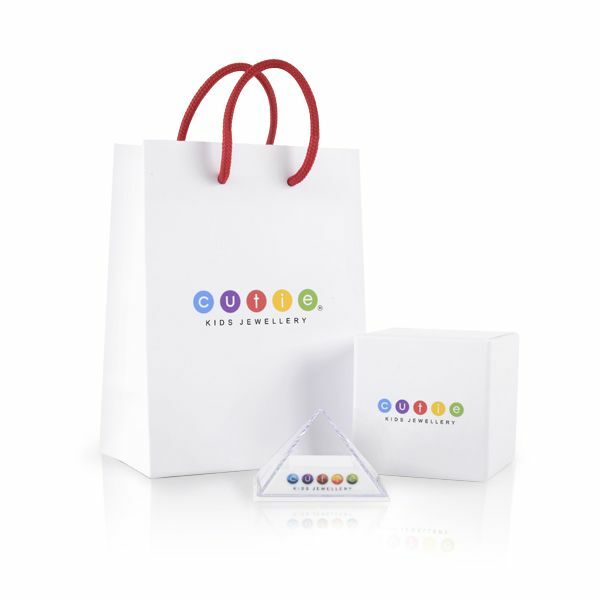 Earrings are packed in a charming pyramid shaped gift box.